Lets start with something simple but effective... Chocolate! Who doesn't love chocolate!? Never in my life have I heard a story of someone being handed chocolate as a gift and being disappointed and annoyed at it because it simply makes everybody happy. Unless you REALLY mess up and do something drastic like buy a box of Dark Chocolate for somebody who only likes milk chocolate, but hey just make sure you know the persons chocolate preferences before spending money on over priced pretty pink chocolates. Pictured below are Pink Marc De Champagne Truffles from Aldi, yup you read that right! Nothing says Valentines more like Pink chocolate truffles ESPECIALLY when they're filled with Champagne. Plus look at how pretty they look inside the packaging. Also from Aldi pictured above is the set of Chocolate Love Birds. These are literally the prettiest most detailed chocolates I've ever laid my eyes on. Again some are filled with Champagne and like who doesn't love Champagne!? Something that always comes to mind when I think about Gifts on Valentines is a new Fragrance. I just feel like you can never go wrong with gifting a new scent for the year ahead. I recommended two last year and have decided to do it all again this year with two different scents. 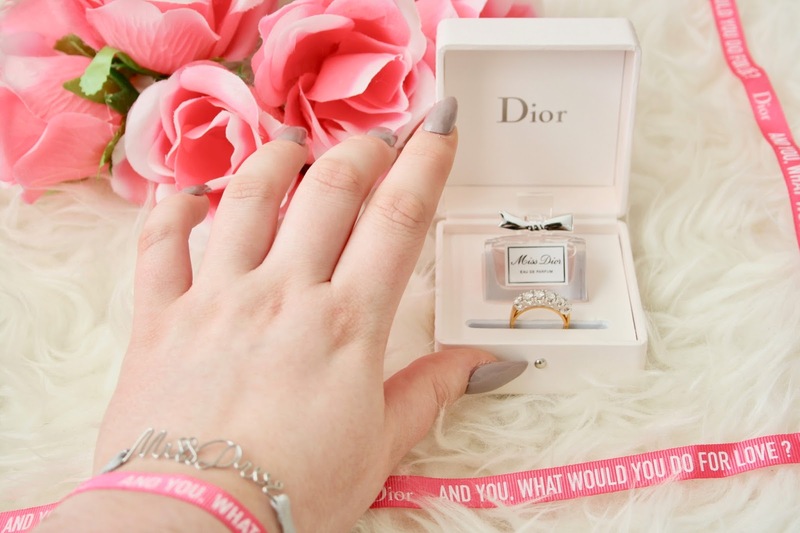 For Her - The newest addition to the Dior family, Dior Miss Dior. A fragrance Blair Waldorf would definitely approve of (queue a guy reading this thinking who on earth is that). The packaging suitable for a Princess and the scent fit for a Queen, there is nothing that can fault this perfume. The scent which is very sweet and floral, which I like to describe as a powdery rose is simply beautiful and lasts for hours on the skin. For Him - One can never go wrong with a Paco Rabanne choice and my choice is Invictus. Not going to lie I don't know what I like more, the scent of this or the t.v advertisement for it. But the gorgeous campaign model aside the scent of this is so masculine and it's made for a champion I mean just look at that bottle design. The scent which is quite fresh and woody is absolutely beautiful and one that cannot be faulted. Another idea for him is the Collectors Edition of Boss minis, this is the cutest little set of miniatures I've ever seen all the scents are in their little mini boxes and yeah adorable! Featuring three best selling Boss scents it's a great little gift for someone who travels or just want's to try out some of the different scents to see which they like better. You get two mini bottles of Boss Bottled, one of Hugo Man and one of The Scent. While they all are gorgeous I must add Boss The Scent is definitely my favourite out of this little set. I picked this little set up from Boots where they also had a few other different minis by various brands. Something I think everybody loves to receive is Lingerie, I mean whether your buying it as the gift to surprise someone or it's gifted to you it works both ways! While everybody loves to see a Victorias Secret bag waiting for them highstreet stores are catching up with their pretty lingerie, last year Primark was killing the game. 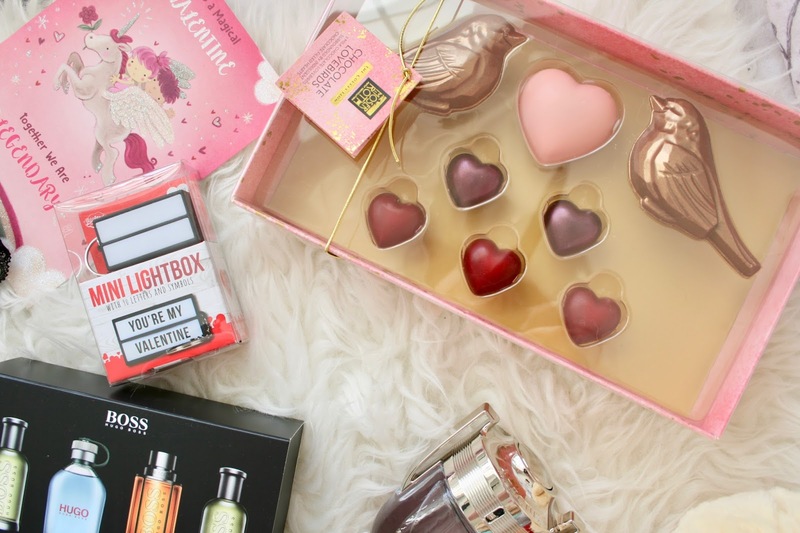 See the set I picked up last Valentines Day here. 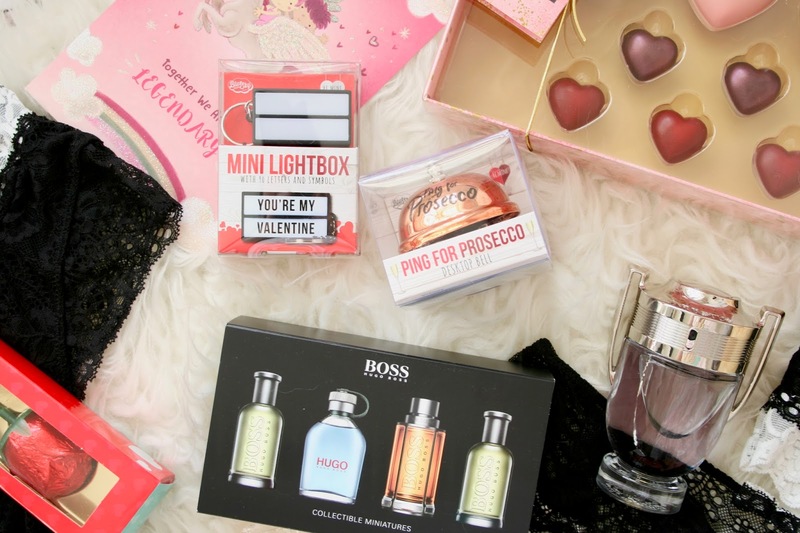 This year I drooled over the pretty sets Lidl released literally so so gorgeous, from body suits, to garter belts, to stockings you name it they had it all. I of course basically stocked up on one of everything because it was all too pretty to pass. My favourite being the gorgeous black and white body suit featured in the photos for this post. Flowers are always a good idea and if somebody fancies buying me 100 red roses feel free to do so and I will love you forever! Whether the flowers come as a single rose, or even a chocolate rose or maybe something more enchanting like a rose enclosed in a little glass dome you cannot fault flowers for the day thats in it. For someone who maybe deserves something a little more expensive Gadgets are always an option. Things such as headphones, phones, music players or watches are a few things that come to mind. However for this little guide I decided to go with the Apple Watch because I absolutely adore mine and use it so much more than I actually thought I would. Cute little preppy gifts that are kinda cute and kinda tacky and in reality nobody wants them BUT they're everywhere and it gets to the point where you can't help yourself picking them up and popping them into your basket, and thats exactly what these two are. Ping For Prosecco desktop bell, I mean I definitely don't need this nor do I think anybody really does however if I ring it and Prosecco is delivered well then it's worth every penny but something inside me tells me the complete opposite will happen. I also couldn't not pick up the Keyring LightBox try tell me that is not the cutest idea you've ever seen and it does actually light up. It comes with mini letters so you can write whatever you want on them, they are stickers though so once you stick them on thats what you're left with as you can't change them. Still a cute idea though! Finally Cuddly Toys. For this day everywhere you look theres some sort of animal teddy with a love heart and a saying on it and if you're not a sucker for a cuddly animal...are you okay? Finally probably the more out there thing but hey if you're sure the person you're with is 'the one' it is the day for all kinds of romance and everybody loves some bling there could be a ring!